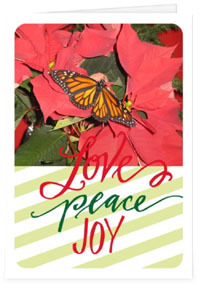 PR2052 Lovely Poinsetta with Live BUTTERFLY! 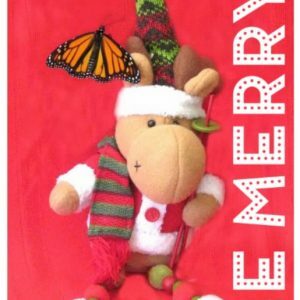 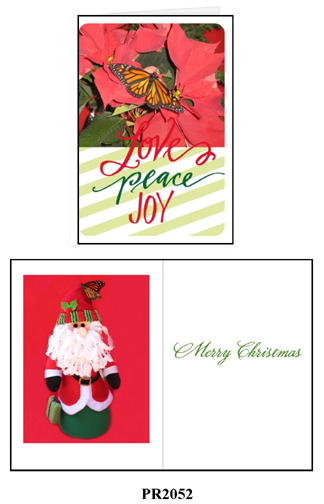 Adorable Santa photo with live Monarch butterfly on the inside as well. 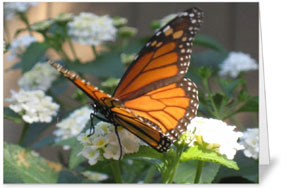 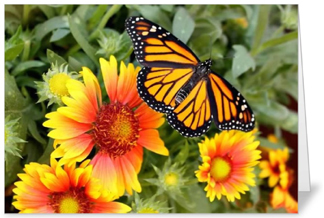 Monarch butterfly born in Susie’s garden Aug. 2013.